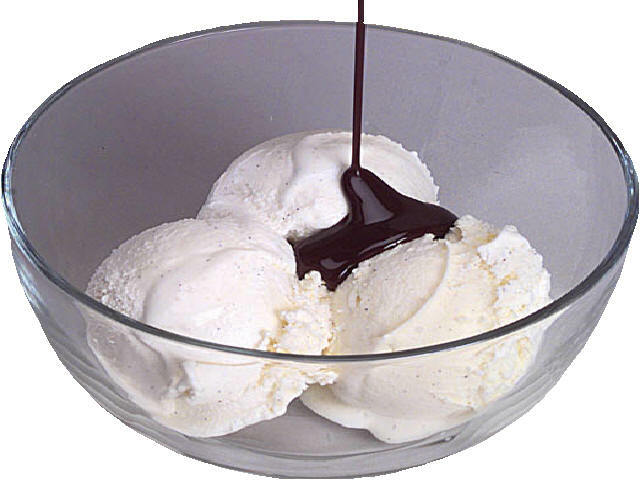 Cocoa Kahlua Sundae - Makes a Great Adult Sundae! Combine sugars, cocoa and flour in a 2 cup glass measure. Stir in next 3 ingredients. Microwave at high for 1 1/2 to 2 minutes stirring after 1 minute. Scoop ice cream in 2 serving dishes. Spoon sauce over ice cream, and sprinkle with nuts. Serve immediately. Yield: 2 servings.